The latest Legal & General ‘Mortgage Mood’ survey reveals that two thirds of consumers (65%) are not financially preparing for an interest rate rise in the next two years. At the same time, only 7% of those polled are considering re-mortgaging their home in the next 12 months. The Mortgage Mood survey is a quarterly study, which looks at the attitude of homeowners across the UK on a range of mortgage related issues. 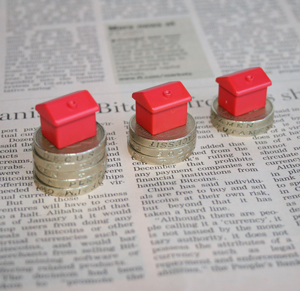 With speculation continuing as to when the base rate will rise, and many commentators suggesting it will be in 2015, lenders have already started to price in the change. These findings therefore suggest that borrowers may be missing an opportunity to secure a low interest rate ahead of time. Homeowners in the North West are the most financially prepared for an interest rate rise with 39% saying they are planning for one. In contrast, respondents in East Anglia are least prepared, with more than three quarters (78%) saying that they are not planning for an interest rate rise. Further findings reveal that, of those who said they are considering re-mortgaging their home, the most common reason is to reduce monthly repayments, with nearly a quarter choosing this explanation (18%). Only 9% cited financing home improvements and just 7% of homeowners said they were considering it to consolidate existing debts. When asked whether they were considering re-mortgaging their home in the next 12 months, those in East Anglia were the most likely to do so, with 14% saying yes. Home-owners in the East Midlands are least likely to re-mortgage their home, with just 3% saying they are considering it. There will be a fee for mortgage advice. The precise amount will depend on your circumstances but we estimate that it will be £1000.